Why not just phone round for the lowest price and the highest pass rate, after all, all Driving Instructors offer the same service, don’t they? Read this, I think you will be surprised. Driving is a skill that will stay with you for the rest of your life, if you don’t start with a solid foundation, you will quickly pick up bad habits that will develop over time, with potentially devastating results. A good ADI (Approved Driving Instructor), is trained and continually assessed to insure you receive the best possible coaching at all times. All ADI’s will display a green square badge in the windscreen of the tuition vehicle, during every lesson. Anyone charging for lessons without this badge is not an ADI and is breaking the law. They should be reported to the police or the DVSA (Driver & Vehicle Standards Agency) via their web site. As you would expect, it is extremely difficult to qualify as an ADI, after a CRB and bankruptcy check, PDI’s (Potential Driving Instructors) have to pass three exams. The first is a very in depth theory and hazard perception test, the second is a driving assessment (you can’t teach good driving, unless you are able to drive to the highest standard yourself) and the third is the most difficult to pass, in fact, only 30% of PDI’s that pass part 1 & 2, go on to pass the third part. The third part is the most important, Instructional Ability, it shows that the PDI can identify driver faults and using various coaching methods, rectify them. 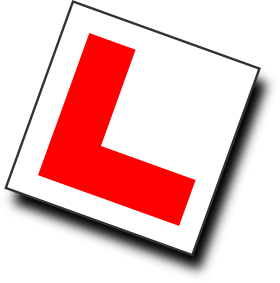 If a PDI has completed the training for part 3 but failed the test, they can apply for a Pink PDI teaching licence, as long as they are affiliated to a driving school (i.e. Franchisees) A number of the most recognizable national driving schools allow PDI’s to take a franchise, under the pretence that practice will improve the PDI’s chances of passing the part 3 exam. In the mean time, you are paying for lessons with some you believe to be a qualified instructor, when in fact they have failed the test which proves they can teach people to drive! The pink licence also has to be displayed during all lessons, so if you instructor has one, you know where you stand! ALL driving instructors are self employed and the likely response to a complaint made against a franchisee is that ‘the company cannot be held responsible for the actions of their franchisee’! The cost of franchises vary, but in this area, lots of instructors are driving around in cars that cost them £230 per week! On top of this, the company will charge them for every pupil they introduce and of course, they have to pay for their own fuel. Most franchise driving school cars have the basic, petrol engines to keep the cost down for the company, so a franchised instructor could have to work two full days, just to break even, which is why you see the cars driving around all the time! I work part time as an instructor, ensuring all my pupils get top quality coaching, every lesson. 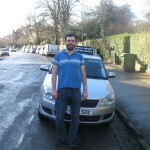 Despite what some instructors may tell you, the pass rate for practical driving tests in Oxford during 2012 was 47.9%. This figure represents everyone taking the practical driving test, whether for the first or tenth time. 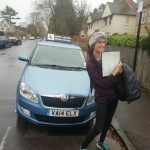 Knowing this and that all ADI’s are regularly assessed to ensure standards across the board are kept high, it is extremely unlikely that a driving school will actually have a 100% first time pass rate. 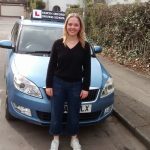 All my pupils have passed their Practical Driving Tests or completed a refresher course and achieved a Test Passing standard of driving. Introductory offers are a great way to attract pupils, but if you pay a discounted rate for your first few lessons, your instructor will need to recoup the money they have lost later and may do this by telling you that you need more lessons than are in fact necessary. Always read the small print, ‘a free test if you fail’, often means, no charge for the hour it takes to take the test, not that they will pay the test fee! Another ‘offer’ to be careful of is ’10 hours for £100′ or something similar. It does sound tempting, but again read the small print. It is likely that the ‘£10 per hour lessons’ will have be spread throughout the time it takes you to reach ‘test passing standard’, so you maybe ‘forced’ to stick with an instructor you don’t get on with, in order to get your ‘discounted’ lessons. I will show you your level of driving at the end of each lesson, using my unique driver record. From day one, you will be able to monitor you own level of improvement, until you reach test passing standard. If you pay for ten hours in advance, you save £10, I do this because pupils are far less likely to cancel a lesson at the last minute, if they have already paid for it!